Excerpt from "The Way to the Kingdom"
Many think they cannot find the time for regular meditation. It is not so difficult to find the time; meditation can be made part of a well ordered life as easily as can any other factor. System, that manifestation of the harmony and rhythm of the universe in the affairs of men, will provide the time and the way, if given the opportunity by your earnestly desiring it. True meditation is the simplest and most natural thing in the world, because it is but a retiring into the quiet of the soul, a letting go in the mind of all outer things and relapsing into a peace and a rest in which the Spirit can come forth and speak to the mind. If you only know it, many times a day do you meditate — when your mind dwells upon things in which the personal self is interested. When that part of you is really concerned about a thing, your mind automatically obeys and dwells upon and ponders over that thing until its interest is appeased (worrying, being anxious, grieving, and such are all negative, unconscious meditation). Thus you can see that meditation is natural and in no way difficult. It only appears difficult because the human mind, which has been accustomed to having its own way and to thinking of only the personal things in which it is interested, rebels against restraint, particularly when required to think of impersonal and abstract things that you are interested in and wish light upon (purposeful thinking is positive and conscious meditation). We will try to indicate more clearly what we mean. In "The Impersonal Life" you are shown that it is really God who is living in your body and is your Real Self, and that you are of no importance whatsoever, either to yourself or to the world at large, until you recognize this great truth in a more or less conscious and intelligent way. This, of course, is not easy to grasp by a mind that considers you and itself separate and apart from God. Now consider that the life that grew you and is living you is the same life that is growing the grass, the flowers, the trees, the animals and all humanity, and is so wise and powerful a life that despite every obstacle it develops all to the maturity of that which it is their destiny to be. Did you or anyone of these others have any conscious part in the direction of or actual process of such growing? You know that you did not and you know that this life and intelligence and will doing it all is God — Who is All in all. Now try to realize that this life that is growing you, this mind that is intelligently directing all, and this will whose power is accomplishing all, is actually God and cannot be you or anyone else. Try to perceive the great truth of this by imagining how it must be. To do this you must lift Your mind away from this page and meditate upon what has been stated, and if you are greatly interested, you will find your attention fixed upon this life within you, imagining it as God living in your body, a very wise and loving Consciousness filling and possessing it, moving it and causing it to do what He wants it to do. And it will gradually dawn upon you that the part of you that is considering all this is only your mind, and then in a wondrously illuminating way it may flash into your consciousness that therefore you are not at all what you before thought was the you living in your body, but that it is a much bigger and more wonderful you — that it is God! that God is the Real You!! and that the other you is but a part of His Mind — a centre of His Consciousness that before had thought itself separate from Him. If you have truly followed this and actually caused your mind to consider and do everything suggested, some illumination must have resulted, for the God of you would surely respond to a heart earnestly desiring to know Him. The above would be real meditation, and real inner work, as you will by this time have realized. All meditation is nothing more nor less than a pondering over or reflecting upon any subject to which you direct your mind’s attention. The reason we urge use of meditation is two-fold: that you can cultivate the power and ability to require your mind to consider thoroughly any subject you wish it to understand fully, realizing that as you hold the subject firmly before your mind’s eye, light will pour in, enabling you to see it from many angles. Also that your mind may gradually learn who you are — learn of your inner self — and that it, the mind, is your child, your instrument that you are teaching, training and disciplining so that it will serve you selflessly and efficiently. Until you have disciplined your mind, you cannot control your thoughts, and as by being able to control your thoughts you can control your emotions, you can then bring your body into harmony; for its health is largely controlled by the emotions or feelings harbored in the heart. When you become more or less master of your mind and dedicate it to the service of the Christ — your God-Self, your real work begins; for all such earnest ones are accepted and put to that work for which they have been fitted and prepared. But not until the mind is thoroughly under control can real work be given. Real work awaits, but it will be mental work — in the Silence and at night, when the brain minds of those who seek and need help are still, so their souls can hear and accept. Such Real Work will be given when you are ready. There are probably some who are impatient at what they think to be the slowness of their progress and who wish to be put to work, evidently not recognizing that very definite work has already been given them to do. Such may not be the work they are looking for — it may seem to them too simple, even unnecessary, not yet glimpsing that the work they later will be called upon to do is mental work and of an extremely difficult kind — to those who have not learned to concentrate and to control their thoughts, to shut them off at will and to direct them upon any desired subject. All such must learn that to be of real service to the Master within they must be able to hear His Voice when He speaks, and that cannot be until they have learned to become quiet and to turn their thoughts within for the definite purpose of finding and getting acquainted with Him. That is plain enough, is it not? We wish to help every earnest seeker to accomplish this, but before that is possible mind-control must be attained. 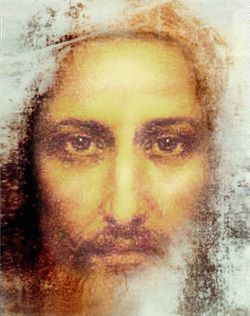 This is only stating in another way what has been told several times already, and it will be repeated again and again until all realize the necessity of regular and systematic meditation — for the two-fold purpose of training and discipling the mind until it becomes a perfect instrument for the Master’s use, and of learning to find and to know Him. In doing this you will soon realize that you are fulfilling the wishes of your Higher Self — by His approval shown in the results attained, and you will surely learn Who is the Master. Also you will learn thereby why this is not inconsistent with what was said above about no one being able actually to hasten the process of Spiritual growth. For this purpose alone are the definite exercises given you in Meditation 2 (see menu above). They are for the use of those only who are no longer seeking anything for self, but that they may fit themselves perfectly for the Master’s use. Such are candidates for Discipleship, and such are always provided with the help necessary. Should the powers gained be used selfishly, those so misusing them will learn through sorrow and much suffering that the Light within has become obscured and spiritual darkness hides the way. Let all heed these words. In trying to grasp the wonderful meaning of your being a center of God’s Consciousness, "see" yourself as an idea in His Mind, that idea being your Christ-Self — His beloved Son — formed in the Father’s image and likeness. The Real You is such an idea, a loved concept of your Father’s Mind, and therefore it is ever within that Mind and is always open to receive or perceive everything else in that Mind. If you can "see" the Sun as the outer symbol to your human mind of your Father in Heaven, and can realize It as the Source of all Life, Power and Light, it will help you to glimpse that Great Mind within you; for your human mind is a center of that Mind, which radiates to every Center of Itself everything that It is, even as the sun shines and provides all life, power and light to all in its universe. Ponder and marvel over this wondrous Truth. This will help you to see yourself as a center of Light, Love and Power, always receiving from the Eternal Source within you the radiant God qualities which they symbolize to your human mind. This being true, all that you need to do is to KNOW this, and by so knowing you actually connect up your consciousness with your Father’s Consciousness, and thus let any quality you can clearly visualize pour into you and shine; for where God’s qualities are they will shine forth and express themselves. Remember, these instructions are for those who wish to fit themselves for selfless service under the direction of the Christ within. While we call them instructions, yet they are in reality only suggestions that will call forth the actual instructions and guidance from the One within Who is the only authority and teacher for you. He will either approve and amplify or modify what is suggested, or will restrain you until He intends you to follow them, or others better adapted for you. By that time, with the training received in hearing and knowing His Voice, you will know that He alone is your Teacher, and that He can teach you everything.